This post is sponsored by Fred Meyer, all opinions and creative ideas are my own. 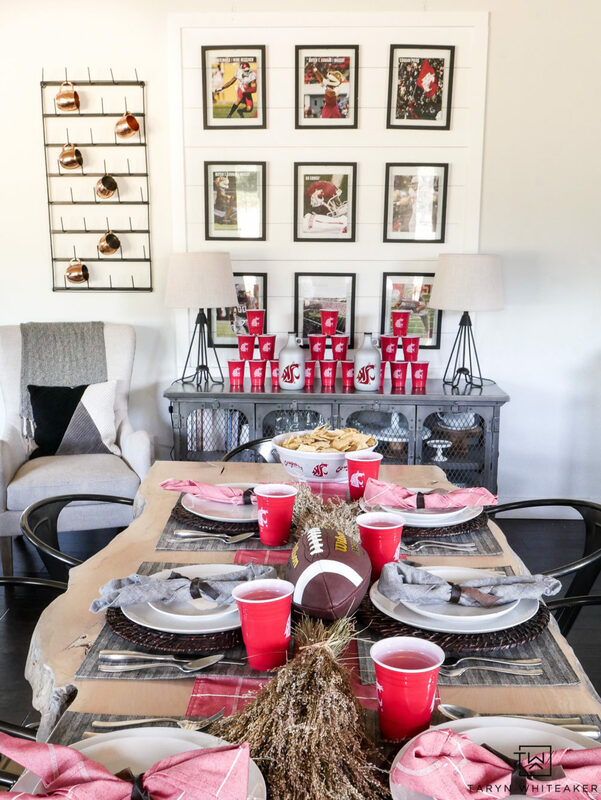 Fall means the kick off of so many things, including football! 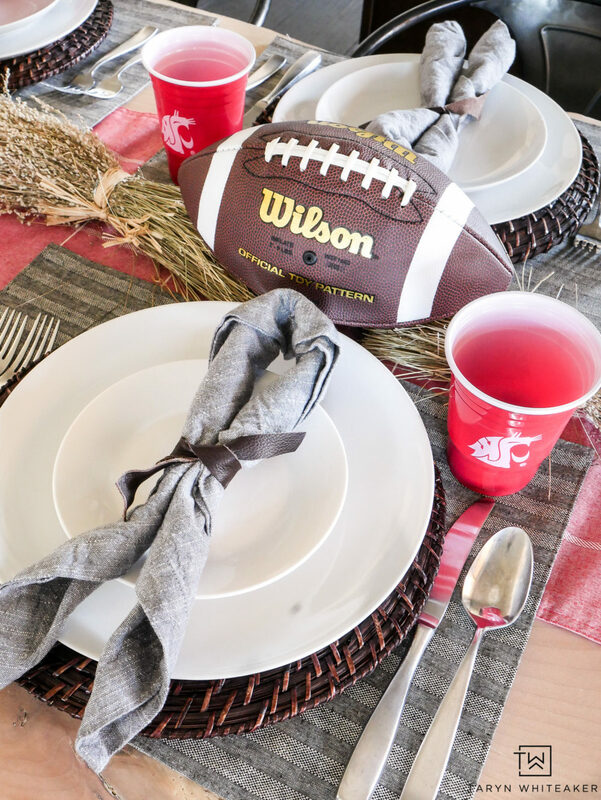 My husband played football for Washington State University so you better believe we are die hard fans over here. Once the season starts, our weekends are filled with watching games and having friends so we can cheer on our home teams together. Seriously is there anything better and reliving your college days, eating good food and having fun with the whole family? 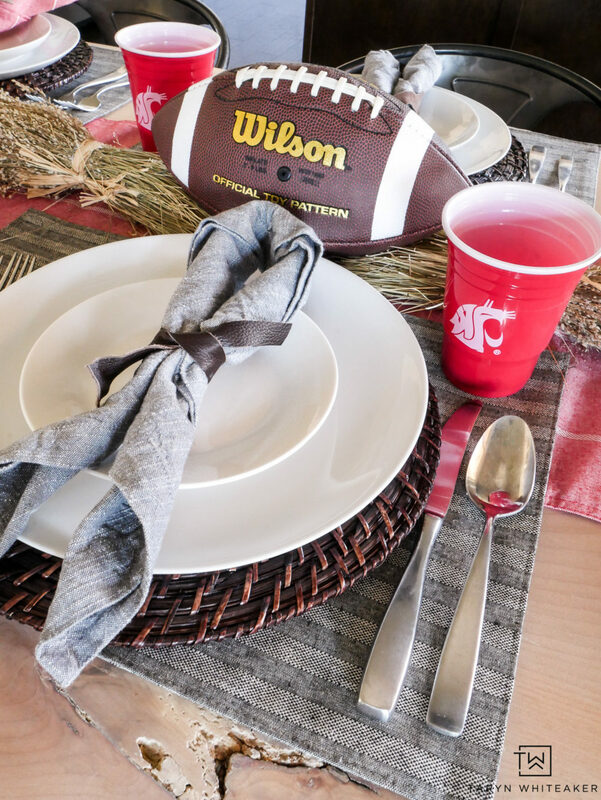 To kick off the season I headed to my local Fred Meyer store to pick up a bunch of fun collegiate gear and new pieces for entertaining this year. 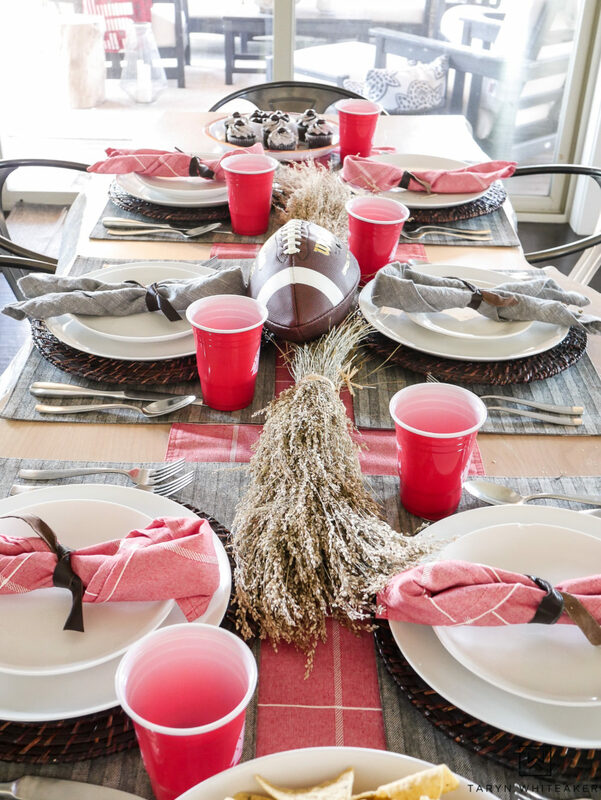 Here is a peek at some new football table decorations I put together! If you head to your local Fred Meyer store, for me it’s Fred Meyer, they will be stocked with your local collegiate gear! 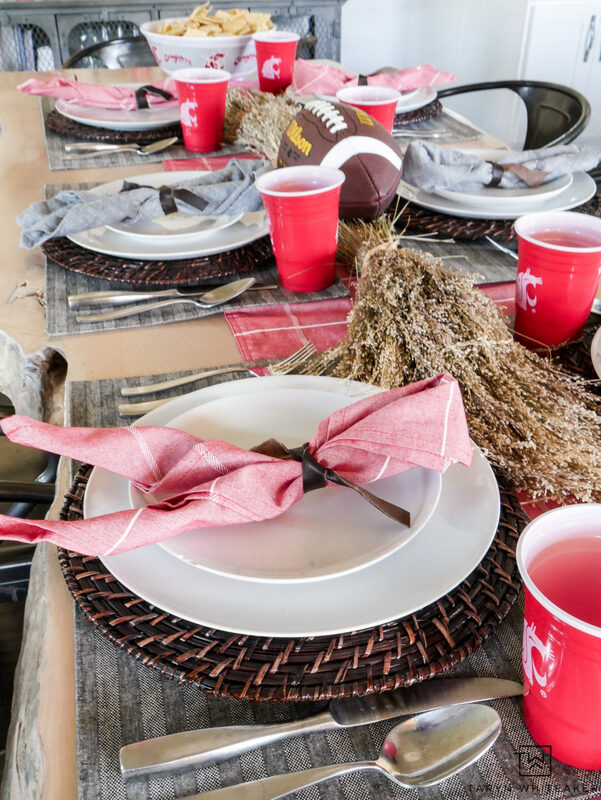 Even more than that, they have everything you need for tailgating and entertaining this year too. They even have team themed crock pots! 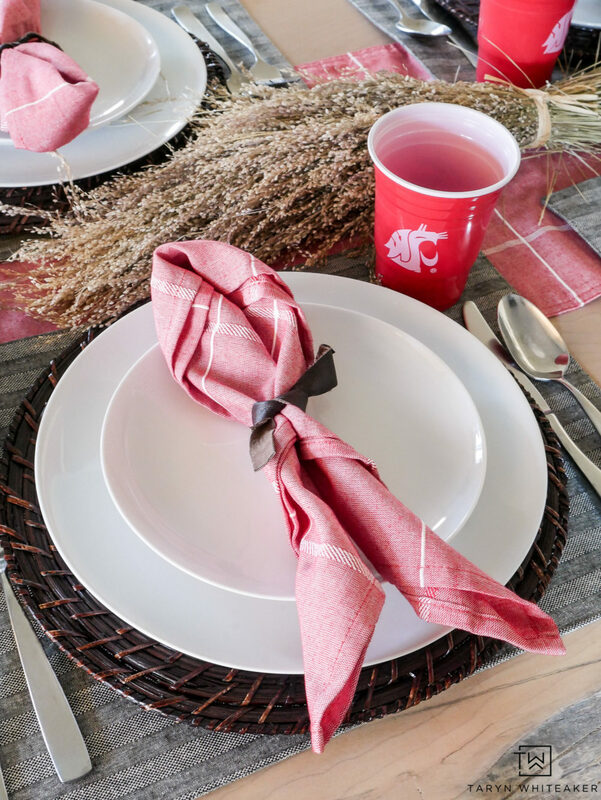 I picked up some new Coug gear along with these awesome personalized cups and plastic serving pieces and paired them with some new crimson table runner/napkins and gray placemats. I like to keep my decor classy but also throw in some fun elements to make it festive and Fred Meyer gave me all the tools I needed to do that. 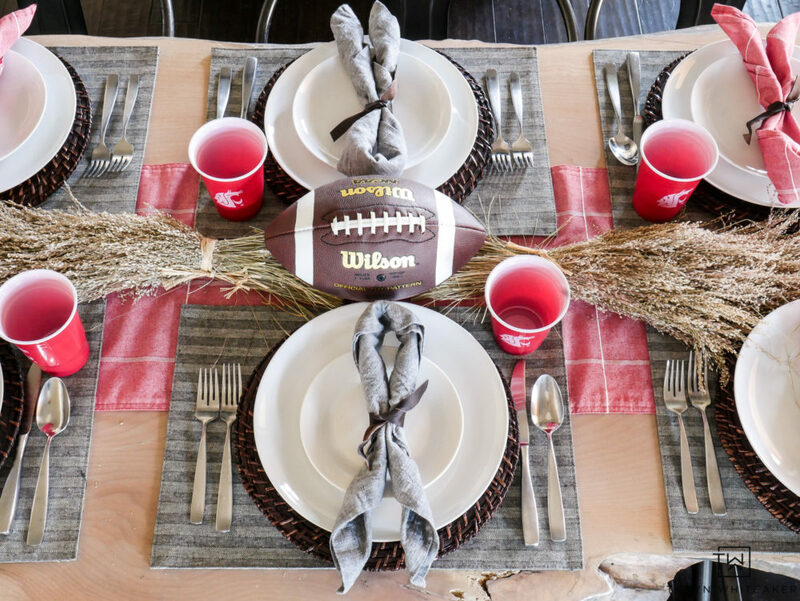 To keep with the football theme, I used strips to raw leather to tie up the napkins on each plate and added a dark wicker charger to bring in some more natural brown tones. And why stop there? I have this gallery wall behind our dining room table and switched out all the pictures with images from a Cougar Football calendar I found at Fred Meyer. It definitely upped my game (no pun intended) for this space and was inexpensive and took no time at all. Who knows, I might keep them up all season long! 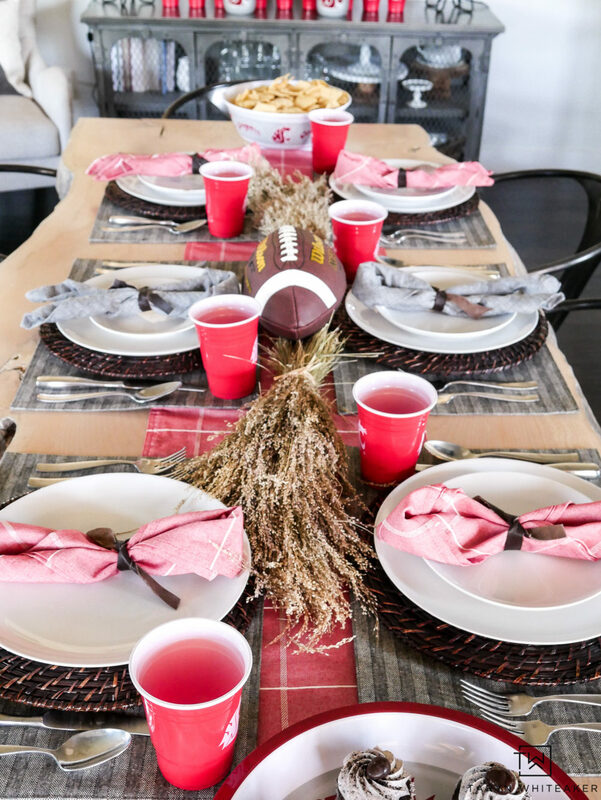 While you are at the store grabbing some of your team’s gear, you can grab some easy finger foods and desserts to throw on your table! I’m going to guess not many of you have been to Pullman, Washington before where Washington State University is located. But the entire town is surrounded by hills of rolling wheat fields. 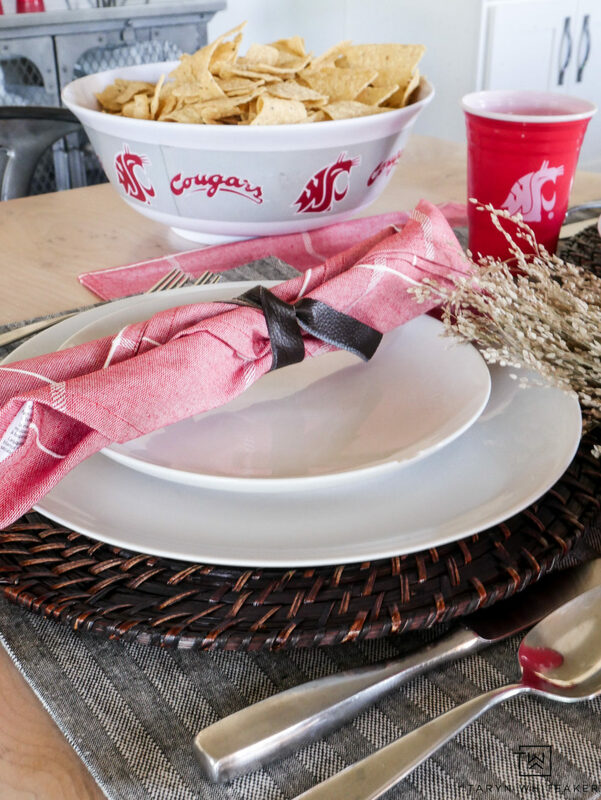 So I thought some strands of wheat would be appropriate for this Coug themed table! Right outside our dining area is where we BBQ and cozy up next to the fire. I spotted some awesome collegiate BBQ sets along with cozy fleece blankets to curl up during those cooler fall nights! 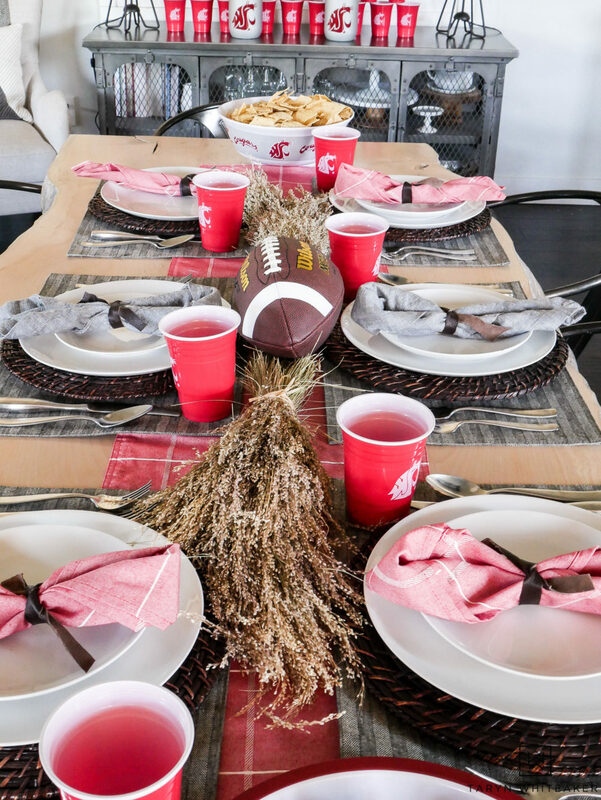 If you are hosting a football party this year, your local Fred Meyer store will definitely have everything you need to stock up for the season and throw the best party. I enjoyed pairing some of the collegiate gear along with some of the home decor pieces I found in the store to create this look. Everything I found in the store would make a great gift too! 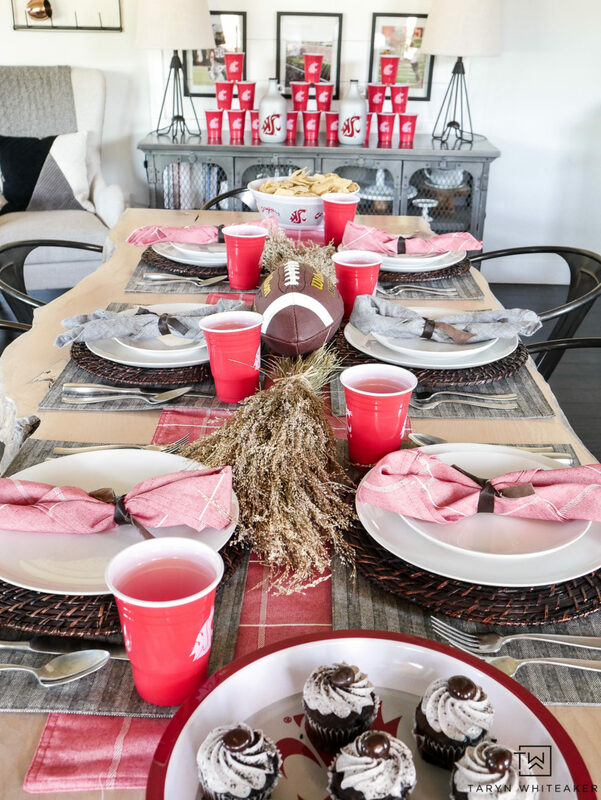 If you are attending a football party, put together some of these items in a cute gift basket to give as a hostess gift. So which team are you cheering on this year? Head to your local Fred Meyer store to find your team gear!